This St Kilda boardwalk has taken recycling to a whole new picturesque level. Replas took the offcuts from the Enduroplank™ decking and made it into outdoor furniture, creating this exceptional Daintree Seat. 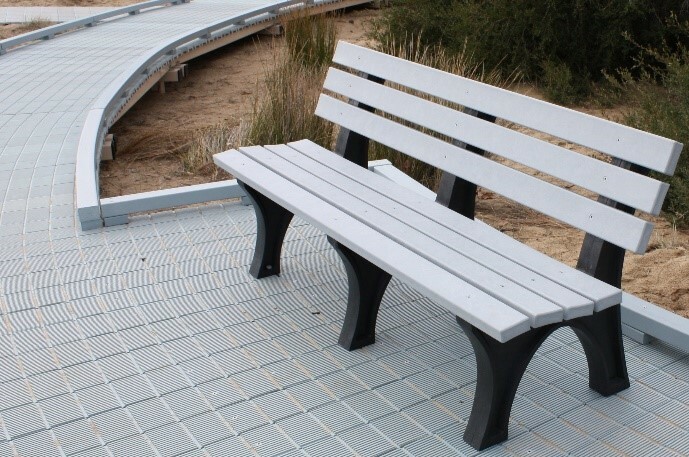 The seats are very versatile, available in free-standing or in-ground options, easily installed in this existing Enduroplank™ decking or any other structure.